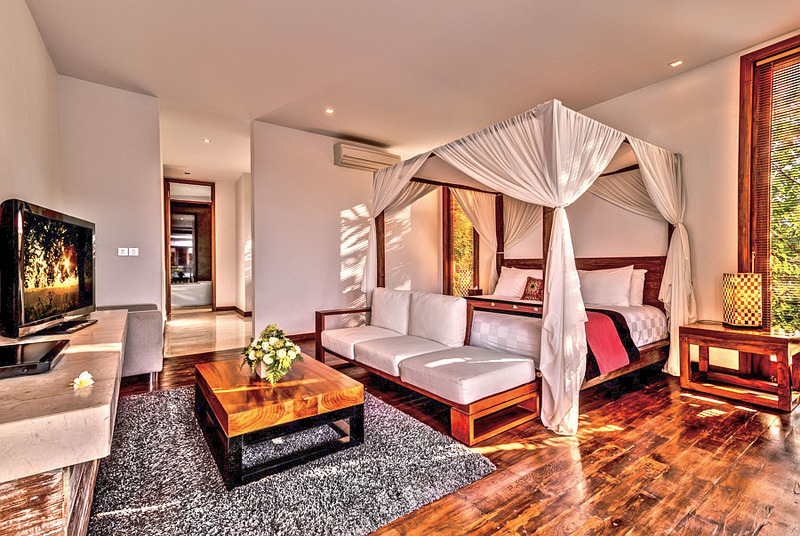 De’jiwa has four bedroom suites, the Jiwa Suite and three Deluxe Suites. 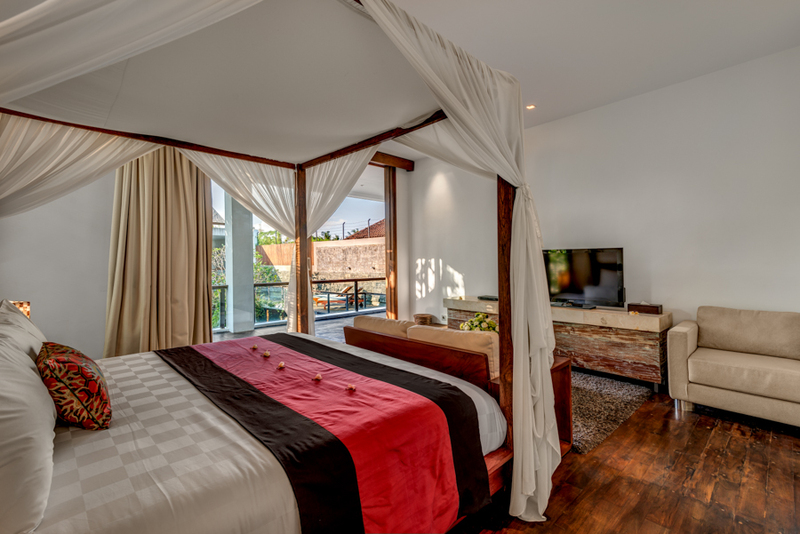 The Jiwa Suite boasts a super four poster kingsize bed with draping curtains. The floor is finished in wood and features a view of the courtyard pool area. Wall curtains allow maximum comfort whilst in your room. The suite is equipped with a Sony 47” TV, Sony Blueray DVD, Bose I Pod Dock for in room music. 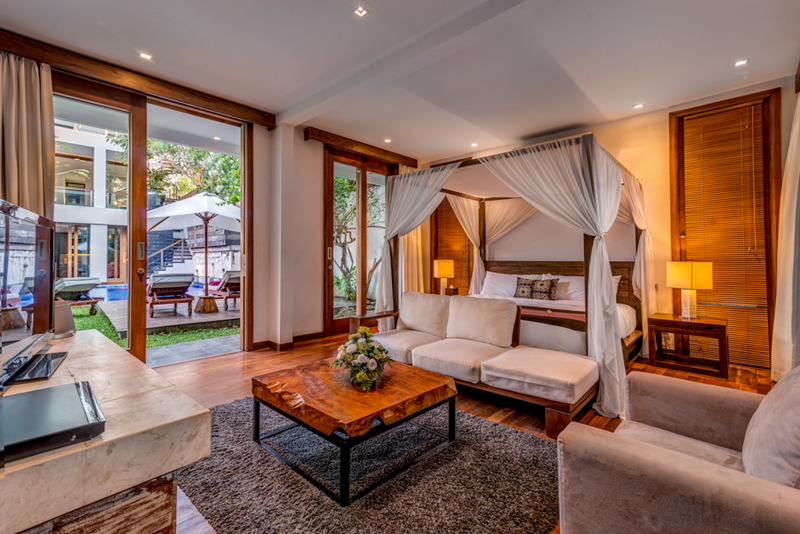 The Jiwa Suite features a walk in wardrobe finished in recycled wood. The area also contains a mini bar, fascilities for tea and coffee making along with a security safe for guest valuables. The bathroom is equipped with a large jacuzy for guest relaxation and pleasure, together with a glass enclosed rain shower. 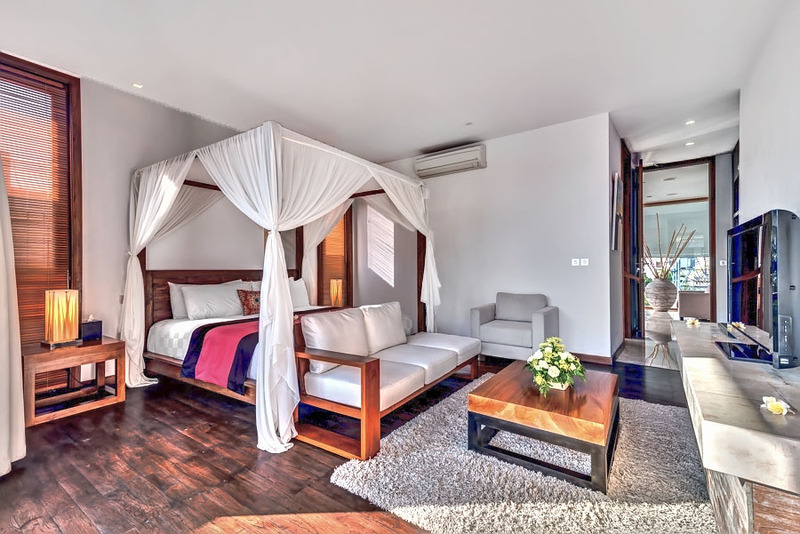 The Deluxe Suites feature four poster kingsize beds with draping curtains. 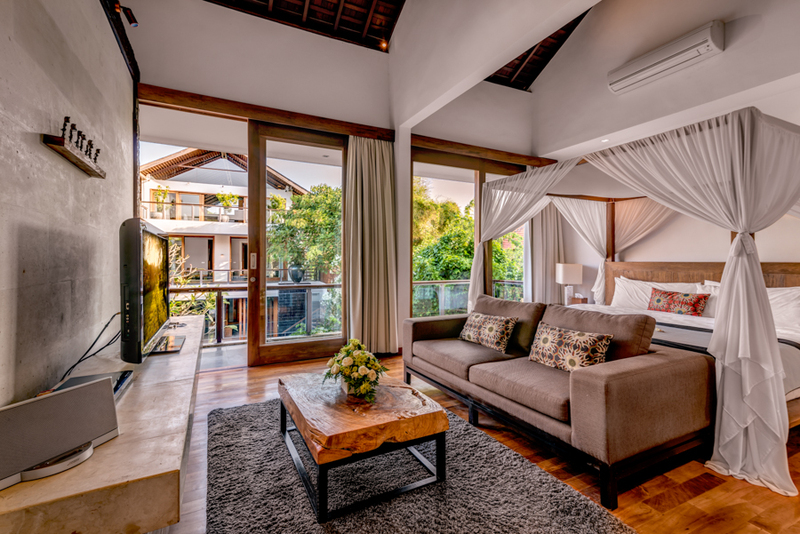 The suites are equipped with Sony 42”TVs, Sony Blueray DVDs Bose Ipod Dock for in room music. 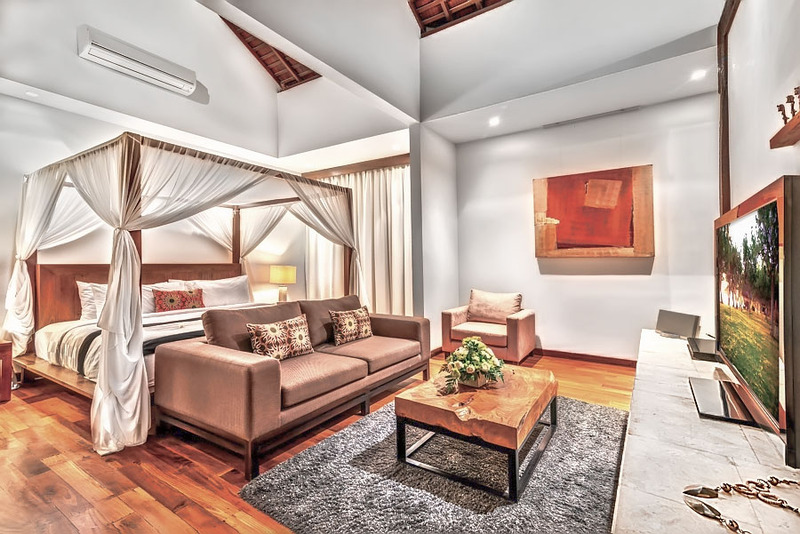 The finish of the bedrooms, walk in wardrobes and bathrooms is similar to the Jiwa Suite with maximum use being made of wood finishings, marble, mirrors and glass to give a spacious and natural feeling.